Yoshi Kobayash is a young fifteen year old girl living in Japan like many others when one night her life changes forever. The Doolittle regiment dumped napalm on her city, changing her life inexplicably–thousands are dead and her city is in ruins. The book opens with the courtship and marriage of Cam and Lacy in New York and then shifts to Japan where we meet Billy Reynolds, an American boy whose father designs public buildings in Japan. Billy’s mother gives him a camera for his birthday which is a central theme in this story. We then meet Kenji and Hana Kobayashi and their daughter, Yoshi. We see the before and after effects of the Doolittle raids on Tokyo and how the bombings change life for these characters. Life was wonderfully easy for Japan’s elite but the Doolittle raids change all that. Cam is part of the crew who bomb Japan but he is shot down and Lacy doesn’t know what happened to him. When the war ends, Yoshi seeks Lacy out to return a token Cam had with him. The books opens in both New York and Tokyo 1935 where we meet the main characters who are mostly unaffected by the war. Then as we gradually get into the saga, we see how much the war impacts them. I loved that we immediately learning about the characters hopes, dreams, fears, and flaws all at once. This book also had a lot of compare and contrast in it. Not just within the characters but within the setting itself. The audience gets an in depth look at how Tokyo was before the war, during, and after the war as well as all the characters. I loved that part of the novel. It added a lot of richness and color to the plot. As a reader I could really feel all the changes in the setting and characters. It’s been years since I’ve read a historic fiction/WWII novel set in Asia, I think the last one was Memoirs of a Geisha. I went into this novel with no expectations. I came away feeling like I learned a lot about the occupation and war from the Japanese perspective as well as how it impacted Americans. This book was not a light read, it was at times a little heavy for me but that’s not to say it was boring or ‘bad’. As a matter of fact, I rather enjoyed this novel and felt that it provided a colorful and bold statement to the audience. It was just a little more heavy than I had expected. Having multiple main characters and story lines happening was a little much for me from time to time. I don’t know that it would have made the novel any better to have a central story line– the multiple story lines were necessary but for me personally I would have liked to have had one main perspective, again just preference. This novel packs a powerful message! 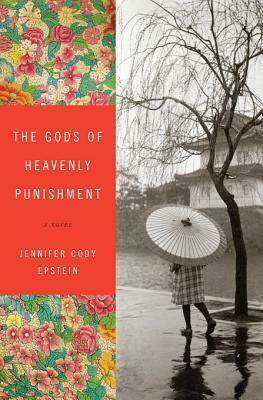 The author has inserted tons of historic facts, details, and clearly showcases her love of the period and culture. She is to be commended for her knowledge and research that went into this novel! The entire novel is full of detail, not just the setting etc, but even the characters themselves show extraordinary attention to detail! I can honestly say that each of the characters were memorable and I liked them all in different ways. I don’t know that this book would be for everyone….some of the scenes contained some violence that might put off some readers. For me personally, I don’t mind violence and cruelty etc in a novel if it suits a purpose. There were a lot of graphic details in this novel as it is a war time book, but I don’t think that anything was over done or not necessary. If anything I thought it was tasteful and necessary to depict the tragedy of war….I mention it just to make readers aware that they will encounter some difficult things while reading but don’t be put off it’s a well written and moving novel. The only issues I had with this book, and really it’s a minor one…..I didn’t care for any of the covers. I thought the book was so well written and the cover designs just didn’t appeal to me as a reader. I thought something more eye catching would have been better. It just seemed like too much was going on in all of the covers. I hesitated to read this novel initially. I had it offered up to me for review on more than one occasion. 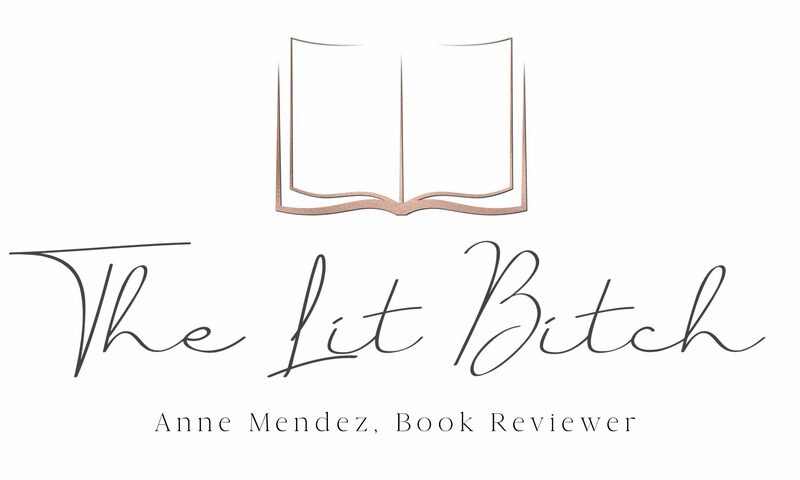 I turned it down because I was not really ready to read something with heavy themes such as war time lit etc, however when I was asked to review it again I took it as a sign that I need to get it on my review schedule–third time’s a charm I guess! I was so glad I went with my gut on this one. It was compelling and moving. Yes it was heavy but it was so well done and different that I didn’t mind. It’s a novel that will stick with you well after you are done. 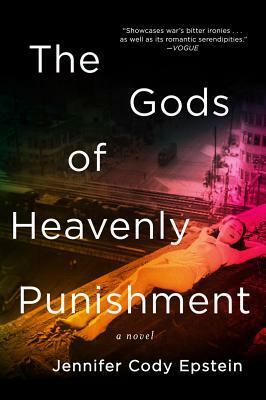 Be sure to check out the other The God’s of Heavenly Punishment tour stops for interviews, guest posts, reviews, and giveaway opportunities. I also included a list of the other tour stops at the end of this post! I enjoyed this book a lot, although it is certainly heavy reading. I really love the second cover, with the contrast of the bright flower pattern, and the black and white photo. I don’t much care for the other though.